I was going through some old blog posts from the past this evening. I came across this one from 2008 when I spent three days on Pelee Island at the bird observatory. Just some memories from the past! 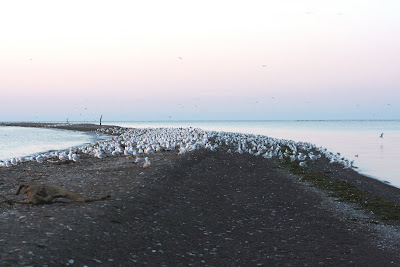 As part of my time off from work, I spent three days on Pelee Island. I stayed with the folks at the Pelee Island Bird Observatory (PIBO), and I must thank Adam Pinch for inviting me to stay there. The weather was great and birding and butterflying was interesting. I was really more focused on butterflies for this trip, but I did see some birds and saw how the PIBO operates. 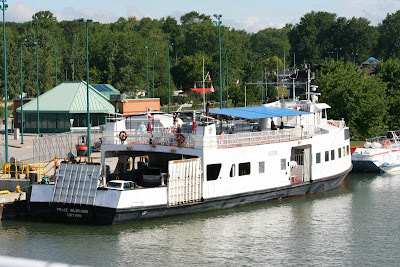 I started my trip early Monday, August 11 by getting on the Jimaan ferry at Leamington. The ferry was about an hour late, but that did not matter. Upon arrival at the island, I headed to Fish Point Nature Reserve to eat my packed lunch. I noted the sheer numbers of butterflies along the roads. 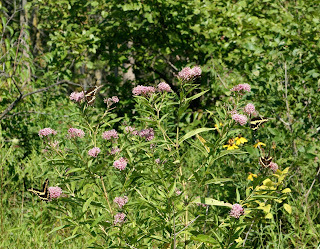 I walked along the road at Fish Point and saw lots of butterflies. They were common species, but nice to see the sheer numbers. 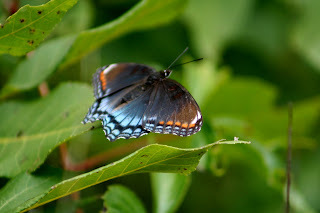 Red-spotted Purple were numerous all over the island. I headed for the PIBO cottage at the south end of Stone Road. 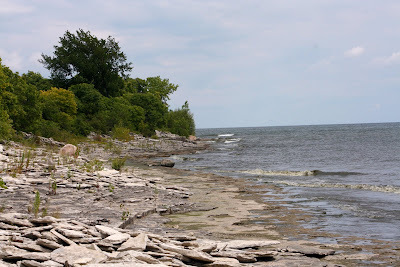 After some chatting, Adam and I walked along the rocky shoreline to Glacial Grooves. This is a well-known spot where the rock is exposed in a large flat area, and one can see the grooves of glacial action. It is quite impressive! Along the shoreline we saw countless American Snout butterflies. It must have been a good day for them because we did not see anywhere near that number the rest of the week. 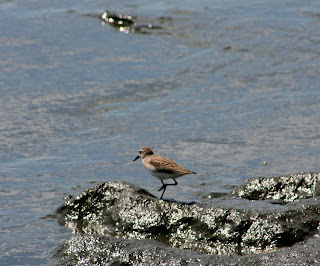 Shorebirds included Least Sandpipers, Semipalmated Sandpipers, Killdeer, Ruddy Turnstone and Spotted Sandpipers. 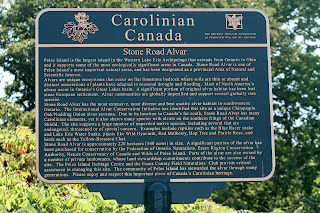 After that, we walked up Stone Road to the Ontario Nature property which is part of the Stone Road Alvar complex. The Nature Conservancy of Canada, Essex Region Conservation Authority and Ontario Nature own a number of properties along the road. 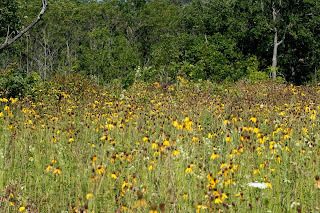 A good part of the trail goes through an open area that contained lots of Gray-headed Coneflower among other species. As well, Nodding Wild Onion is plentiful in this area. 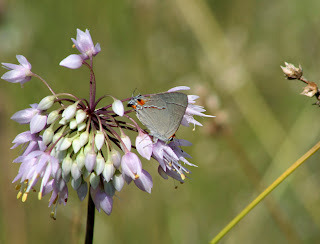 The best butterfly here was a Gray Hairstreak. Another one for the year! It was on Nodding Wild Onion. 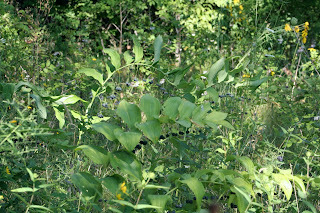 Red-spotted Purple butterflies were in big numbers here too. As well, one could not begin to count the number of Giant Swallowtails that were just everywhere on the island. One milkweed plant had four on it at once. Not to discourage anyone, I must note that "chiggers" are terrible on the island. Although I took some precautions, I received numerous annoying bites. The Ontario Nature property was the worst spot for those it seems! Getting up early, I headed to Fish Point with the group to see what the daily routine is. I walked with Adam around Fish Point as he conducted the daily census. Species of birds and their numbers are recorded during a 90 minute period. During this time, the other PIBO personnel are at the banding site checking the nets for birds. It was early in the season, so birds were at a minimum. We did encounter Northern Waterthrush and Tennessee Warbler. A number of Yellow Warblers were moving through. At the Tip, the gulls and terns were congregating by the thousands. The terns are virtually all Common Terns here. The odd Caspian was seen. A couple of Semipalmated Plovers and a Ruddy Turnstone were among the shorebirds present. Needless to say, we noted thousands of Double-crested Cormorants heading to parts unknown. 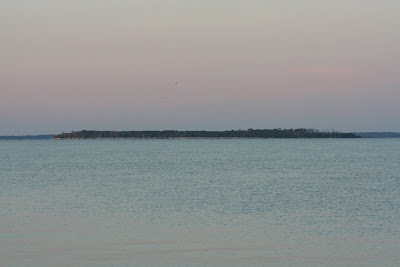 Middle Island could be seen in the distance. After the census, we headed into the banding area. There were a couple of Black-and-White Warblers and a Northern Waterthrush in the nets. All of us had lunch at the Winery where we could BBQ our own burgers. In the afternoon, Adam and I headed up to Middle Point Woods near the north end. It is another recent NCC property acquisition on the east shore. Part of it was donated by a couple who owned a parcel of land there. 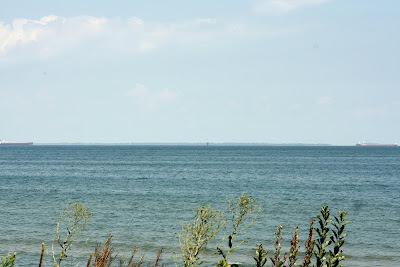 We could look towards Point Pelee and also see the Pelee passage shipping channel. 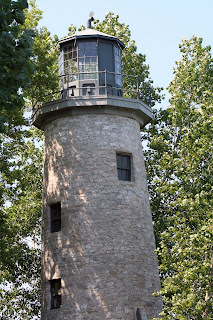 I wanted to see the old lighthouse so we walked to it. It was built in 1833 and restored a number of years ago. It was abandoned quite early in the 20th century, so it had been deteriorating for some time. It was a bit of a walk to get to, but worthwhile. Last time I was in the area was for the three Wood Storks in August 2001. This spot it included in the Lighthouse Point Nature Reserve which was obtained in the early 1970's. Not too far south from there, we travelled along Brown's Road to some more NCC properties. These properties were obtained quite recently through a partnership of several agencies. 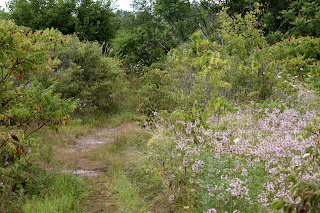 Part of the Brown's Road portion is a significant site of rare Chinquapin Oak/Nodding Wild Onion savannah which is not known anywhere else in the world. All of these natural sites are important to maintain since so much of Pelee Island has been drained or cleared for farming purposes. The highlight of my trip occurred here. 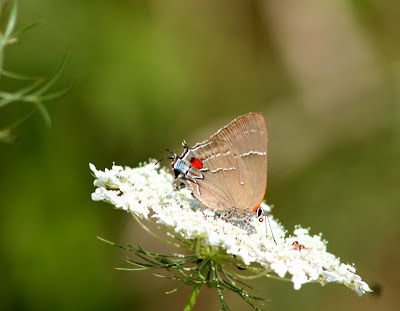 Along one of the trails I spotted a White-M Hairstreak! This is a rare butterfly for Ontario, but this year a few have been seen. In fact, three were seen on the island in early August during the butterfly/dragonfly count weekend. One was also at Point Pelee in early August. It sort of has a similar look to the Southern Hairstreak! 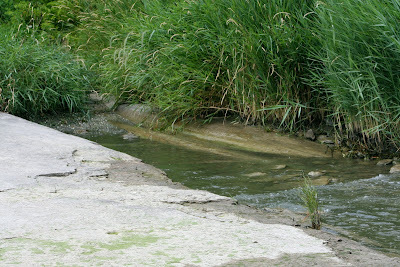 I later walked the Stone Road Alvar again and noted more plants, but no new butterflies.